I glumly stared out the window. I had just been hacked, deprived of my 250,000, Wand of the Air Faerie, and not to mention other incredibly rare items. I grimaced, thinking of all the hard work I put in saving it up. The hacker had just gotten a lot of free money. Mine. I sighed and gathered up my pets. "Hey, you guys, let's go out OK?" 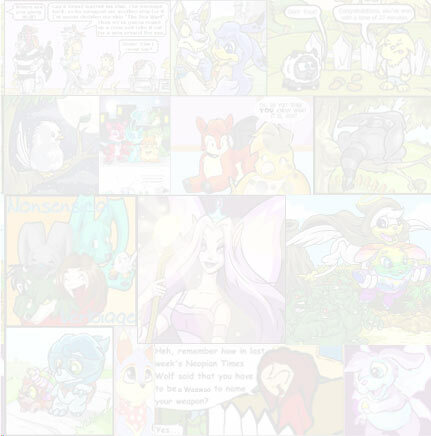 I called out to my NeoPets. Strawberriez2000 smiled happily. "I'll go gather up them!" My Cloud Kacheek ran off to get Blueberrigummie, my blue Bruce, and Keylimezpie, my green Shoyru. I smiled at them and quickly gathered them up. I nervously walked up to the pound. Keylimezpie looked at me horrified. "What are we doing here Mummy? I thought you loved us!!" I brushed away my tears and said, "Oh, I love all of you. But I was hacked into so I must give you away, to make better lives for you. "But we would have been happy!! Don't leave us!!" they screamed. I quickly handed Dr_Death the NP and walked home. "Hi this is silverstarryfairy!" said my friend. "Oh hey," I mumbled. "I got great news! Guess what! Did you remember that you can do the lab more than once?" she squealed. "Oh my gosh! I totally forgot!" I gasped. "Well, I'm off to do it again. How about you?" she asked. "Um, no. I don't have any pets..." I admitted. "WHY?!!" silver yelled in shock. "Uh, because someone hacked into my game so I had no money left," I sighed. 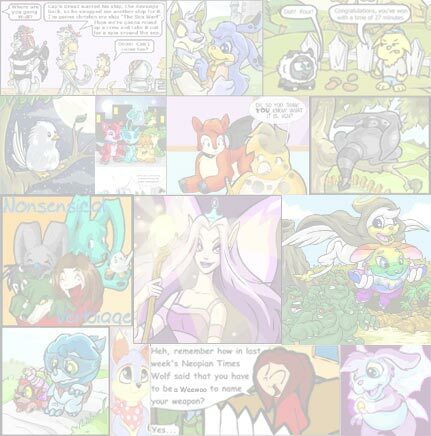 "I decided that it would be best for other people to take care of my NeoPets . . ."
"Oh really? That's bad news... oh no! I got to go now see ya later vballgirl!" She hung up. What was I supposed to do? I had no more pets to take to the laboratory. I wandered to the Create a Pet Centre and made a Blue Lupe called Luner_Lupe. I did the lab ray on him. Wow! He gained 3 strength points. The next day, I did it again. Why not? I had nothing to lose. Hooray! He gained 2 levels. After many days, he gained and lost stats. He changed for green to red and back to blue again. HE even turned into a female Lupe! One dreary day, I ran through the rain to the lab. As usual, he was strapped down. Through the smoke, I saw a different colour. What happened? I wondered. "It has changed colour to Desert!" I gasped and suddenly came up with an idea. I suddenly had an idea! Why not adopt some pets from the Adoption Centre to use as my lab pets? My Lupe had just turned into a Desert Lupe and he was now a very valuable pet. After painting them I could take them to the adoption centre, where they would immediately be adopted into loving homes. I ran to the adoption centre as fast as I could. My new desert Lupe tried to keep up. I noticed a particularly scared Kacheek. "Aww, poor thing. Would you like me to adopt you?" He nodded and I picked him up. His name was Bloo_wainwright. I gave her some food and filled her up. The next day, I gently took him to the lab. "It has gained 2 defence points!" I waited patiently for him colour to change. Eventually, I gathered him up. He was now no longer scared of the lab. He was strapped down. "It has changed colour to Shadow!" the voice intoned. That is my new responsibility now, to help abandoned pets get homes. My buddy Luner_Lupe is staying with me for a while, because she has become very close to me. In fact, I have already given one of my pets a good home. Its name is duo_tang and it was a Meerca. Now it has a loving home as a Tyrannian Kacheek! Peacepaw sat on a stump, his guitar in paw as he lazily struck a few flat chords. "What's happening?" I didn't say anything, but I thought I had the mystery nearly wrapped up. Angel sniffed the air and screwed up her nose. "Success smells like three burger barns and a tire yard." BoBo the Tyrannian Kacheek had not eaten for three days already and was famished and starved. Don't drive without your hands! Jade grinned at her opponent, a handsome spotted Kougra, Gaalin, who also happened to be one of her best friends. Nite_jjj and Feezifrind were at Mystery Island visiting Tiki Tack Man and looking for more useless junk to collect. "I loved them... I loved them all," she said, and lowered her head, as tears came pouring down onto the earth.